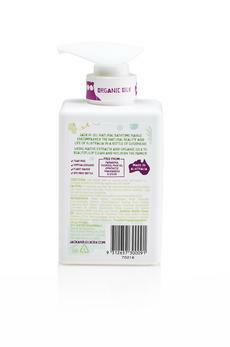 Our new Natural Bath Time range encompasses the natural beauty & life of Australia in a bottle of goodness. Using native extracts and organic oils to beautifully clean and nourish your family. Our Serenity range is a tranquil & soothing unique aromatherapy blend by Jack N Jill, with native Australian White Cyprus extract, Australian Lavender oil, Clary Sage oil and Chamomile oil. This Serenity Bubble Bath contains natural extracts and hydrating ingredients to provide an enriching and fun bath time experience. Soaking in a warm Bubble Bath will leave skin feeling super soft and deeply cleansed and relaxing essential oils such as White Cypress and Lavender are perfect for before bed time. Glycerin deeply hydrates to keep skin feeling conditioned, soft and smooth.